The AusCare Folding Over Toilet Aid assists transferring on & off the toilet. The folding frame ensures compactness in small spaces. 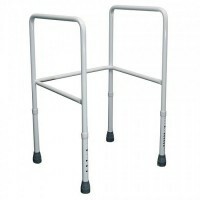 Constructed of aluminium, the frame is height adjustable & weighs just 3.8kg (one of the lightest available). The frame has a lifetime warranty against rust. 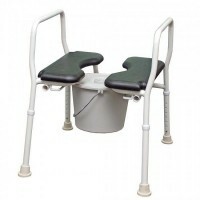 The non slip rubber feet offer stability & steadiness & the armrests offer additional support for standing. The plastic seat is hygienic & easy to clean. 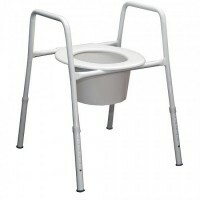 The AusCare Folding Over Toilet Aid is an ideal multi-purpose piece of equipment. 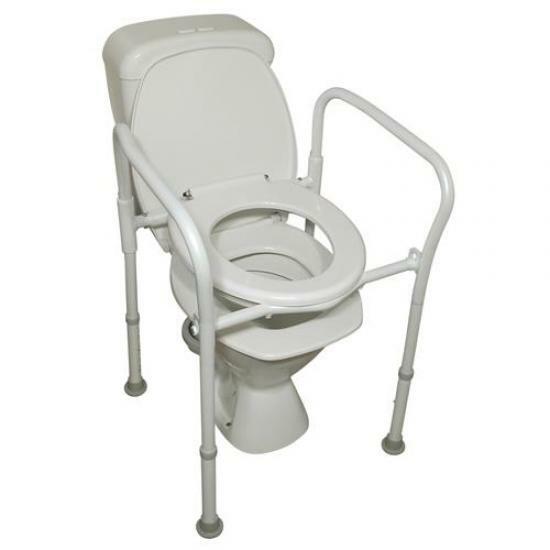 Perfect for travelling, for use as a shower chair or used with bowl & lid as a bedside commode. Click to Visit this Product for more information.